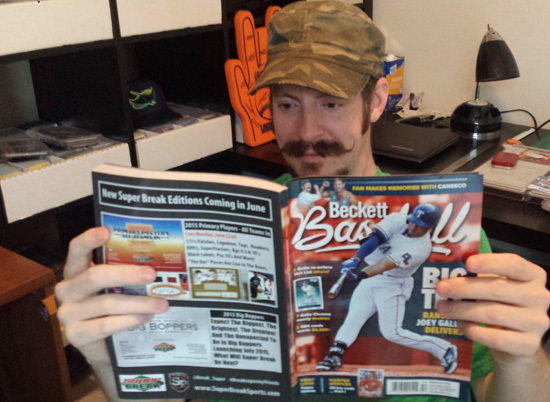 My Beckett has now hit shelves, along with more good news! I’m not exactly the kind of guy who plays it “cool”. If something awesome has happened to me, I get pumped about it and write until it is out of my system. It isn’t an ego thing at all; it is more of an expression of thankfulness to God for allowing something great to happen to someone like me, who is so undeserving. So, I think I’m just going to go ahead and take it down a notch. Yeah, that’s what I’ll do! I won’t say anything about it anymore. Instead, I’ll just walk around town wearing a shirt that says it all, without being too obnoxious. I’m glad to report that while my 15 minutes of fame is winding down, there have still been a few surprises left. I have been doing a google search to see when the interwebs would be hit with the cover, and it has finally arrived! This is truly a treat for me to see mixed in with baseball stars and greats like Harper, Machado, Clemens, Ripken, Bo, etc. This is … like the hall of fame for me. Sure, I’d be the obvious pick in the game “one of these things is not like the other” – if you could even see me, but to be shown in public anywhere with these guys – no matter how small – an absolute dream come true! Yeah, it’s gonna take me a while to come back down to earth from this one. 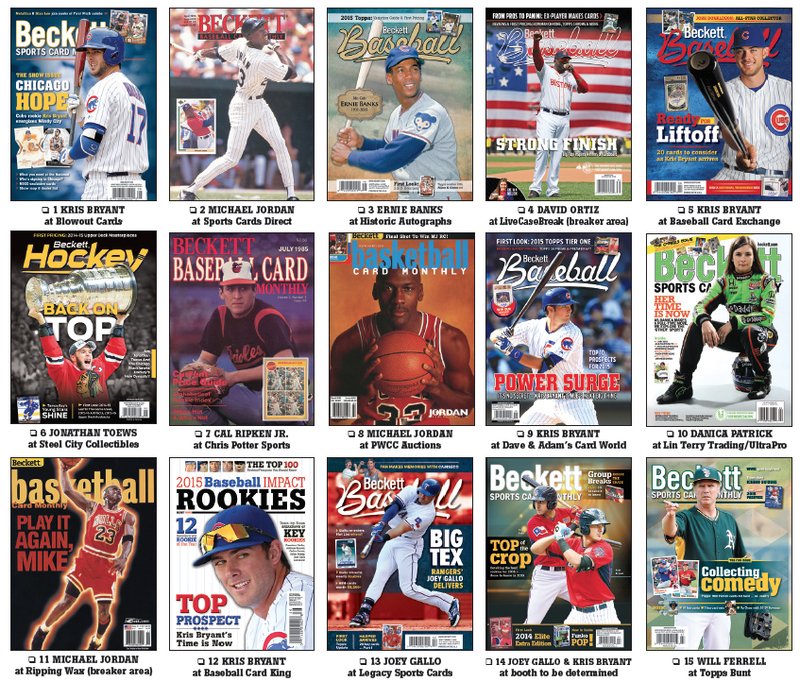 To make things even better, Beckett announced on their site that they will be producing a 15 card set exclusively available at The National sports card show at the end of the month. Guess who is going to be on one of the cards!?! Maybe this would be a better shirt? That’s right, peeps! 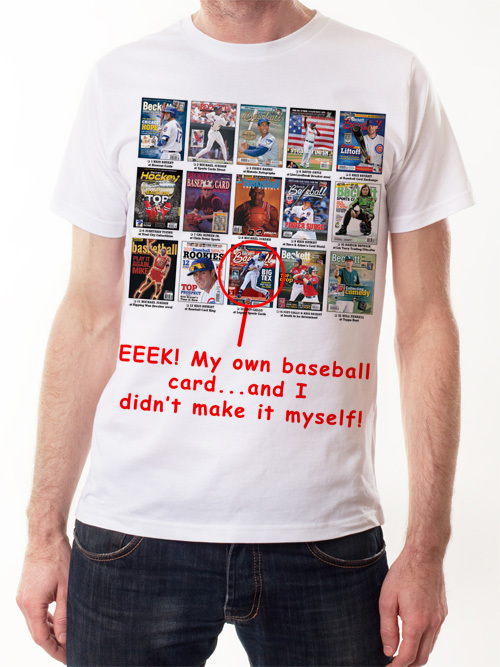 Yours truly is going to have a baseball card. 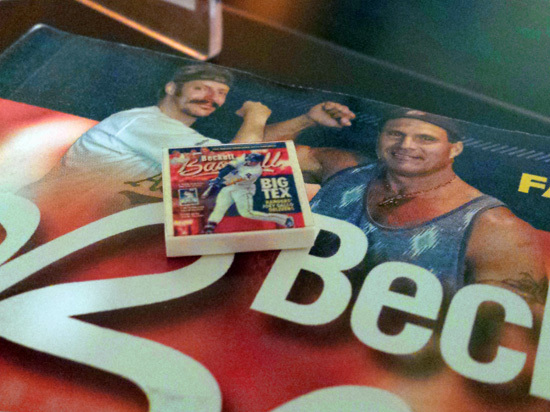 A serial numbered baseball card with Canseco on it as well, which means that *I* will be in the collection of several Canseco collectors as well. Trippy! 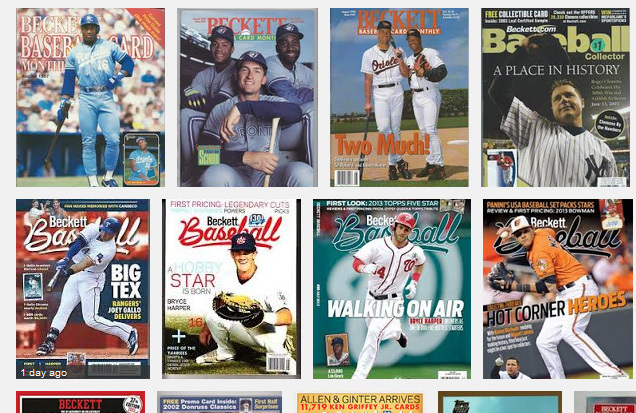 Word on the street is that if you are one of the 200 to collect all 15 cards and present them at the Beckett booth with proper documentation, you will receive a special autographed card that is the front cover of a past Beckett issue. In one of my last blog postings, I made mention of the fact that Beckett should make cards out of their covers. Coincidence that this just came up? Well, yeah … probably. I found out they apparently have done this before, so I can’t take credit, but I can hope to hold onto the outside chance that perhaps I gave someone the idea to do it again. This was probably just a coincidence, but either way, I’m SUPER stoked about it. So, this is a PLEA to anyone out there: I won’t be able to go to the National because it is a loooong ways away from home. If you are going to the National, and if you get your hands on a card that card with me & Canseco AND/OR the autographed version of the Canseco Beckett card, would you *PLEASE* contact me? I would absolutely be thrilled to be able to get my hands on them! Okay, so this is the last time you may hear me say anything about this issue of Beckett. I have been having a hard time finding a hard copy to purchase, but as it turns out, they simply had not yet hit the stands. I found them on amazon.com and picked up a few. But before that, I already had some subscribers write me and tell me that it was in their mailbox. 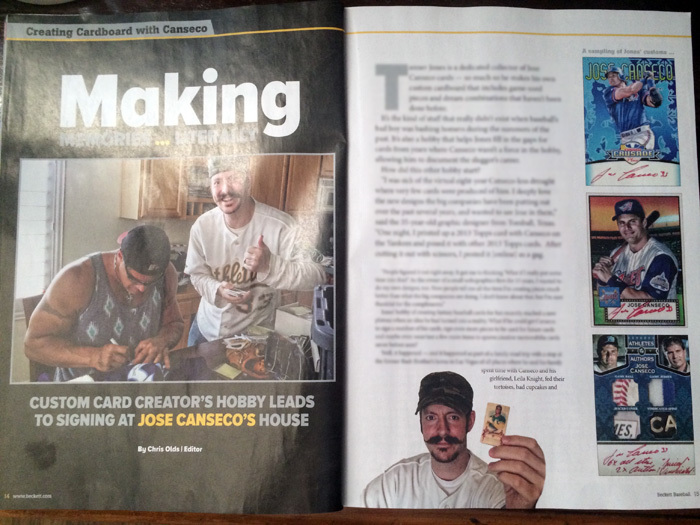 On the forums, Eric72 told me that he knew I was going to be on the cover, but had no idea the article was going to be so big. That piqued my interest, because I have been dying to know how big this thing was going to be, and what it was going to say. Beckett Editor Chris Olds was kind enough to send me a sneak peek, which was a picture of a part of a page, so I thought it was going to be either a half a page (YEAH!) or … GULP … a FULL PAGE! Eric sent some pictures to me. 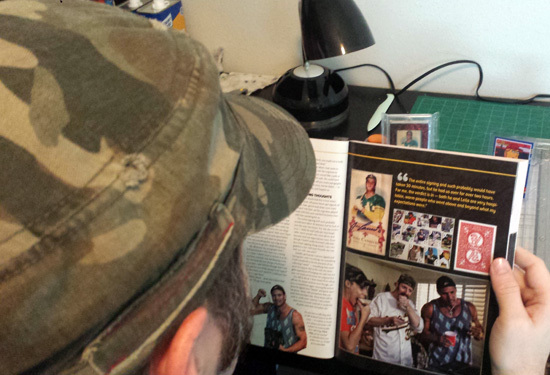 Turns out … it was a SIX PAGE full color spread! I have intentionally made them small because I would really like to encourage everyone to pick up a copy. 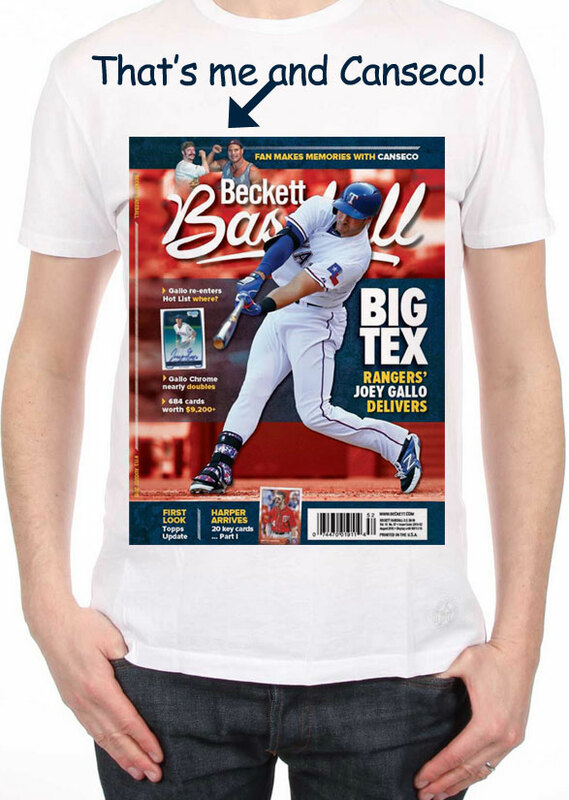 You can easily grab one by going on ebay or amazon and search for August 2015 Beckett. Mine should hitting here today or tomorrow. I still cannot believe that all of this has happened just because I decided to start making baseball cards for my own personal collection about a year ago. Had I not started, I wouldn’t have considered doing a private signing. No private signing? No epic hang out day at Jose’s house. No epic hang out day at Jose’s house? No massive feature in Beckett. I certainly owe a *LOT* to you, my reader. It is YOUR positive feedback that has really provoked me to keep going to create new things and show them off. Had you not given my work attention, perhaps no one would have noticed little old me. Creating these cards have taken me from being a person who has bought and sold cards regularly for years (just like many of you) to being a TRUE collector. One who could never part with the creations that I have made. I have often struggled with “what the heck am I doing?” I am spending hours upon hours of creating these basically “worthless” cards that can never and will never be sold, or offered to the public. Somewhere along the way, I came to grips with the fact that sports cards aren’t just about flipping them for money. It is about enjoying them. Someone had posted a thread about who had the most complete collection around. 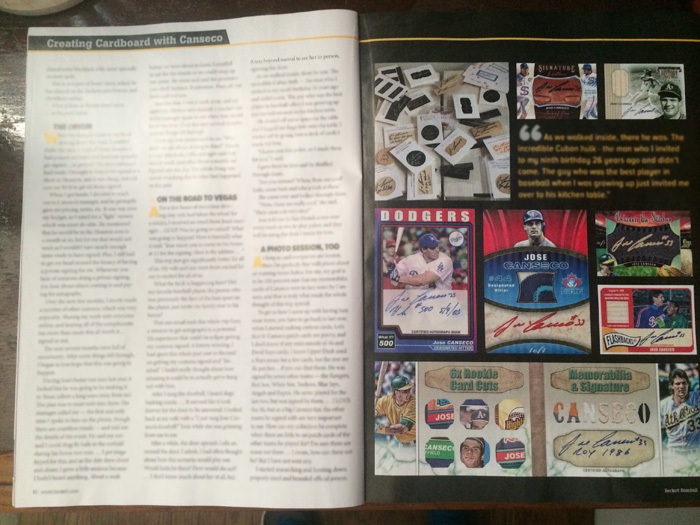 I was in shock when multiple people mentioned my Canseco collection as being among the most impressive because of all the custom cards I made, and the material I had to make customs for my collection in the future. For me, this was huge as it added a lot of legitimacy to my custom collection in my own eyes. That about does it for today. It is now time for this newly published writer to sit on the steps, and eagerly await the coming of the mail man! So, the Becketts just came in, and let me just say … the hits keep on coming! After looking through it all, my story was the BIGGEST in the entire magazine! It was INCREDIBLY cool to show my son that he got into Beckett. Something that took me 35 years to do only took him 12 years – and he wasn’t even trying! Clearly, this kid is going places. Last, but CERTAINLY NOT least – I had this sneaking feeling about something. 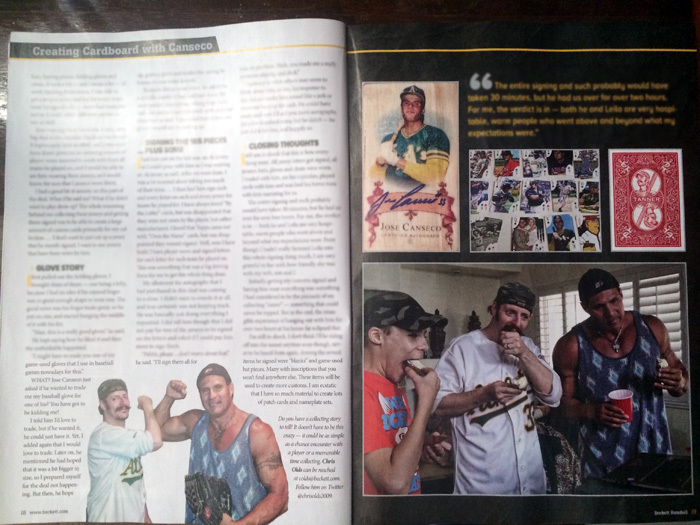 What if my story could have somehow single-handedly changed the market value on some Canseco cards? The thought crossed my mind as to if this were possible, and then of course feeling a bit guilty to even think of such a thing that could have happened just because of my story. 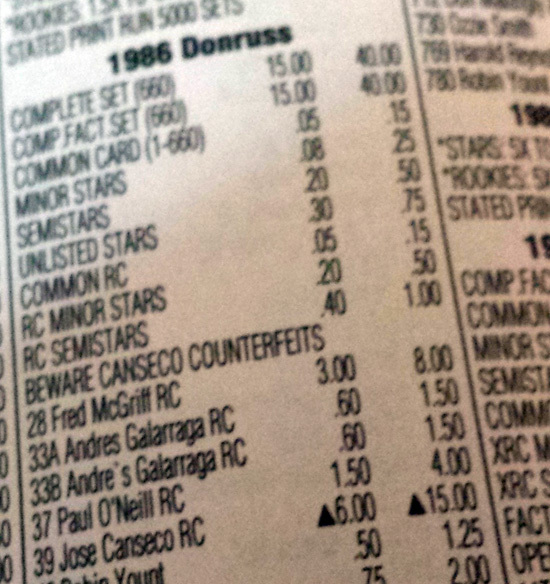 After looking through the pages, I quickly scurried to his #1 card: the 1986 Donruss Rookie card. Well, here it is! Again, I don’t know if this is a coincidence, or what, but I am OVER THE MOON. This is nuts! I would love to know when the last time the card had movement in Beckett! Well, I guess I’d love to know if it wasn’t recently 🙂 Either way, this is just the icing on a very large and delicious cake for me. ONE MORE THING: I have been asked by a few folks online about getting their copy signed. I’d be happy to, as long as you don’t mind adding in an SASE. Another option would be to PM me and have me buy one for you + pay for shipping, and I’d be happy to pick it up, sign and send to you that way, in order for you to save some money & time. 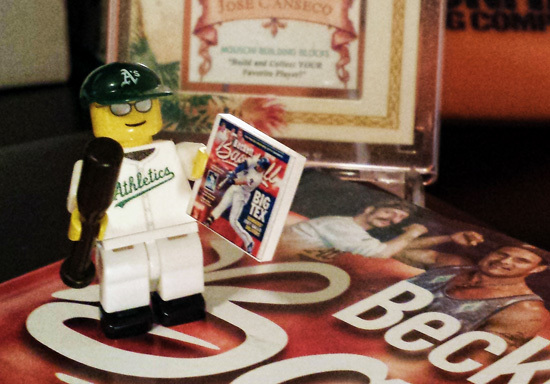 Take the beckett … and make it a lego!